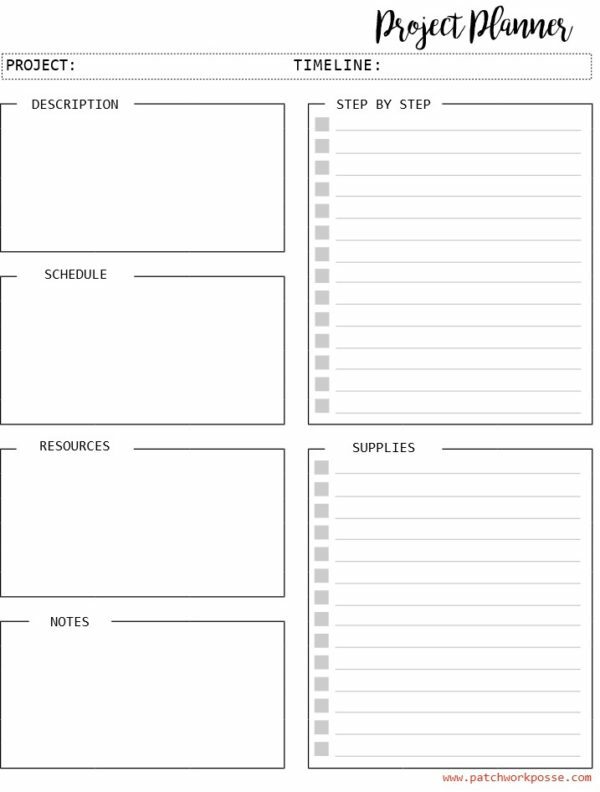 Do you use a printable planner? I’m talking about a planner that you put together by yourself. 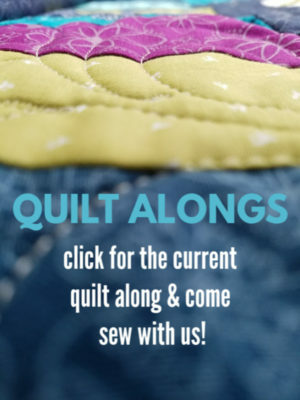 This is seriously such a great idea and there are quite a few resources out there for planners now, but using them for a quilt project planner can be tricky. 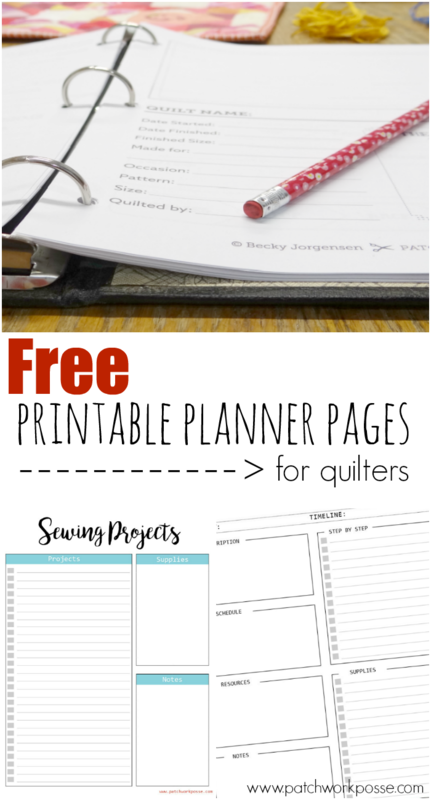 Today I’m sharing the best planner pages….. these aren’t all of the them, but these are the ones that I like the layout, the info that you put on them and whatever else (I’ll mention those with each printable). If you kind of think a little outside of the box on some pages, you might find one that really works for you. And, the fact that you can put something together yourself– no waiting for the printer, etc. is soooo handy! 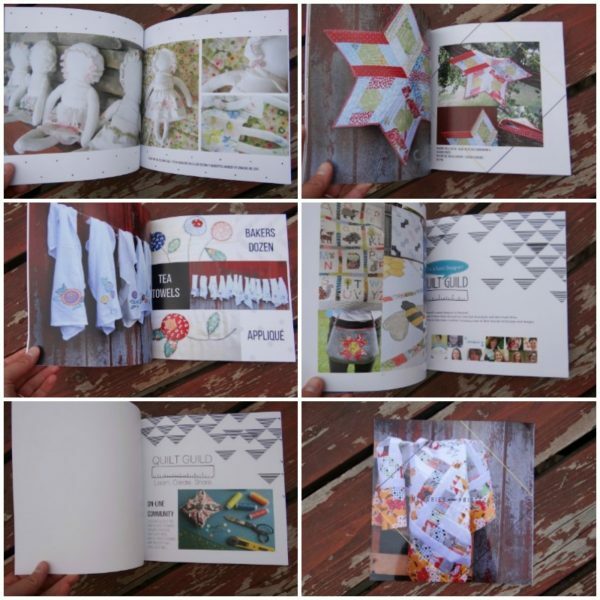 These pages allow you to print them off multiple times — so if you have 100 unfinished projects, you can have 100 sheets! Someday we should have a contest on who has the most unfinished projects. 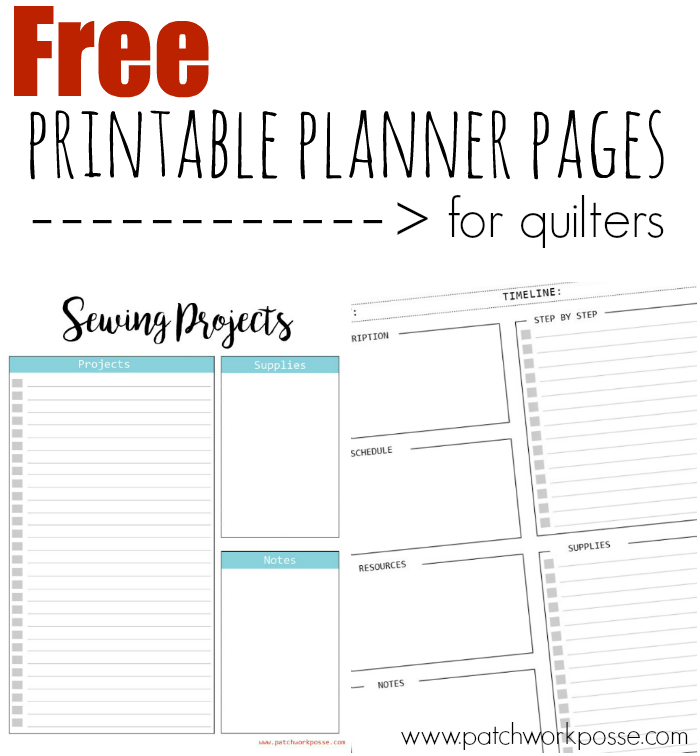 Until then, check these out and let me know in the comments if you have a printable planner that you are in love with. 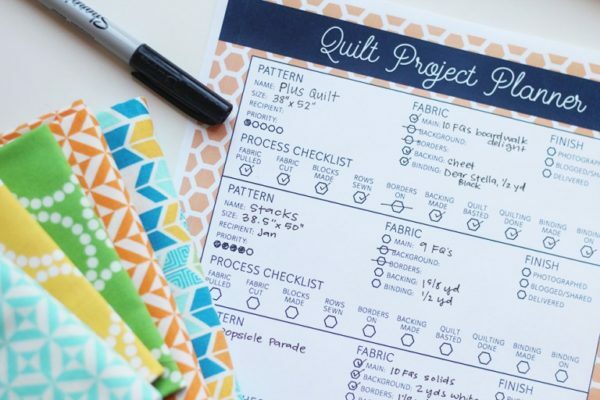 The Sewing Projects printable is all about the mega list. The checklist kind of option. Write the project– check off when finished. There is a spot for supplies or notes where you can add a few things if you need. It’s great for an overall look at what you’d like to do. Maybe even something that you can use for projects you’d like to complete during the year. 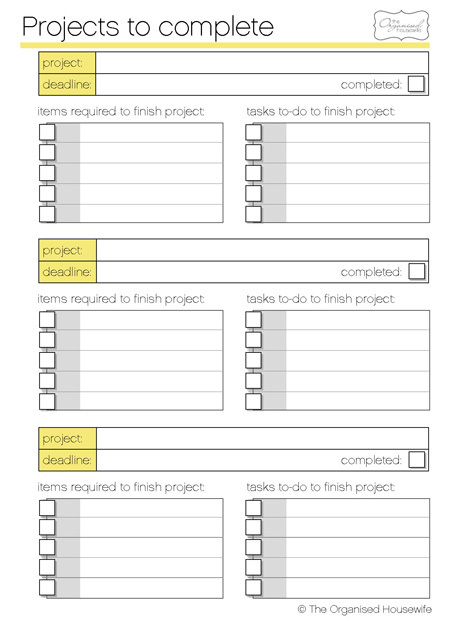 The Project Planner Printable is a fun colorful one! I really like the priority rating at the top! So nice to quickly glance and really make sure you are supposed to be working on that….or whether you need to hurry and get moving on it! The spot for materials needed is great for listing off things that you will need— like a specialty ruler or template. This way you can keep track of whether you have it or not for the project. Sometimes I try to work on things that I don’t have the supplies yet for….so frustrating to have to put it away again! 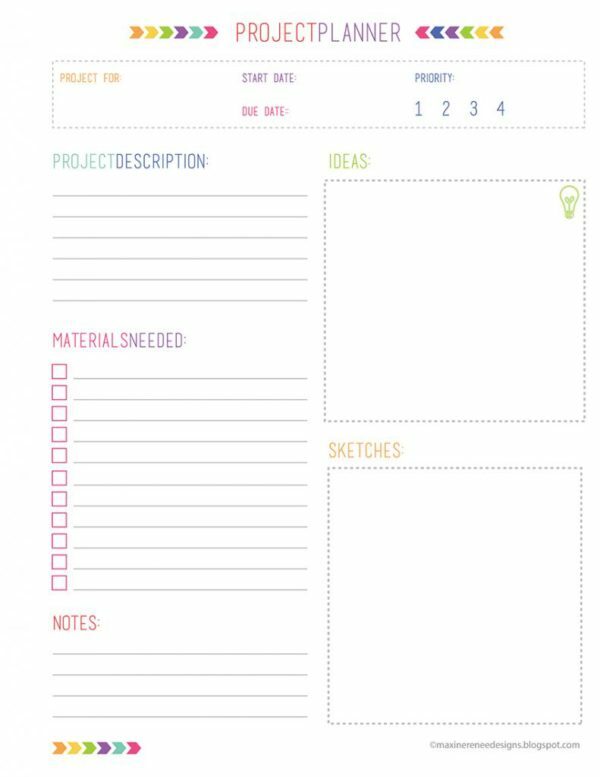 The project Planner is all about taking your project and breaking it down to a manageable task list. Quick spots for adding your description, schedule, resources (those would be patterns, videos, classes…) and of course notes, your supply list and the step by step. I really like the fact that you can customize the step by step to what you need for that project and it’s not pre-filled. 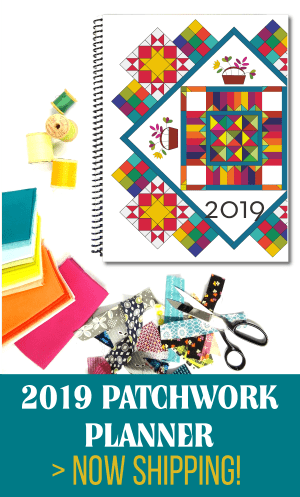 Quilt Project Planner – this is a great printable that has a spot for 4 projects to keep track of on each page. That comes in handy! I really like how it’s laid out and simple to see where you are in your progress. 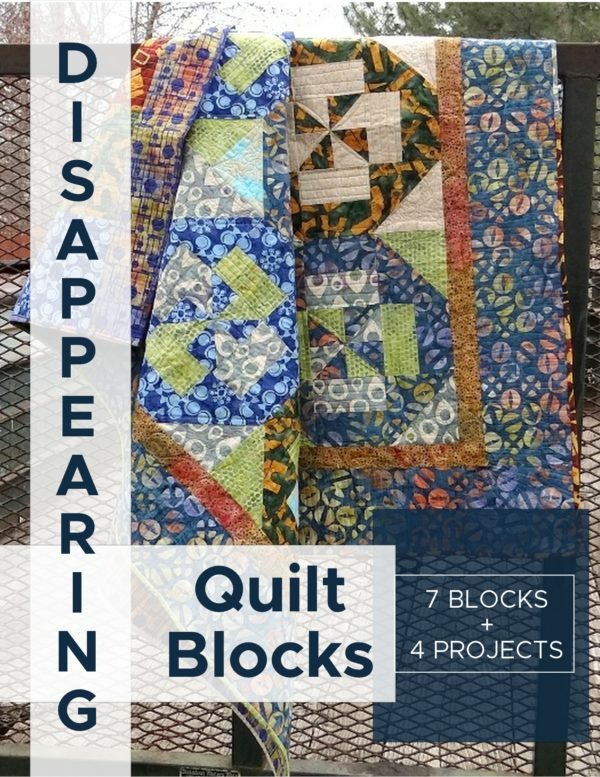 The Projects to complete isn’t necessarily one for quilts or sewing projects, but again it has a nice layout that works– and I really like the tasks part. Fill it in yourself. Sometimes each project does have it’s own task. This is a project I did last year. This is more for when you have all your projects done and you would like to put them together in a nice looking collection! It is one that you can upload all the images you’d like to add, with comments and text and they will print a book for you! It’s so fun to get it in the mail and look through your projects. This works great for finished projects for the year. You can find more info on putting together your own book here. 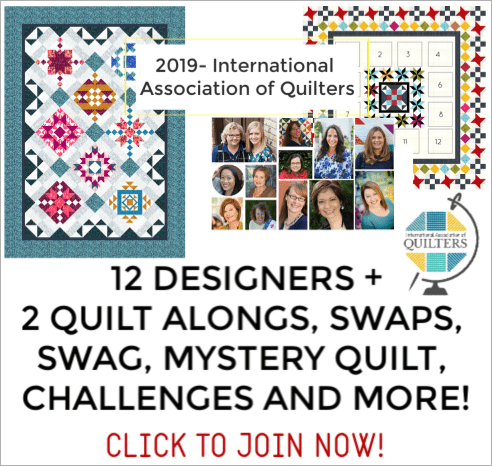 Looking for additional pages for your quilt planner and journal? 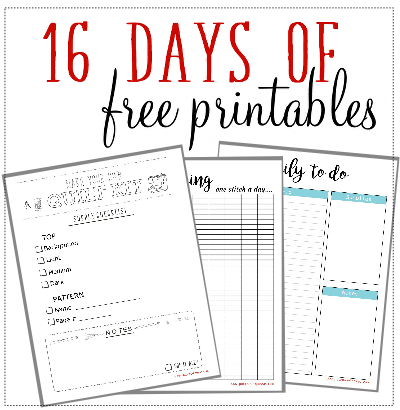 Here’s 16 free printables! 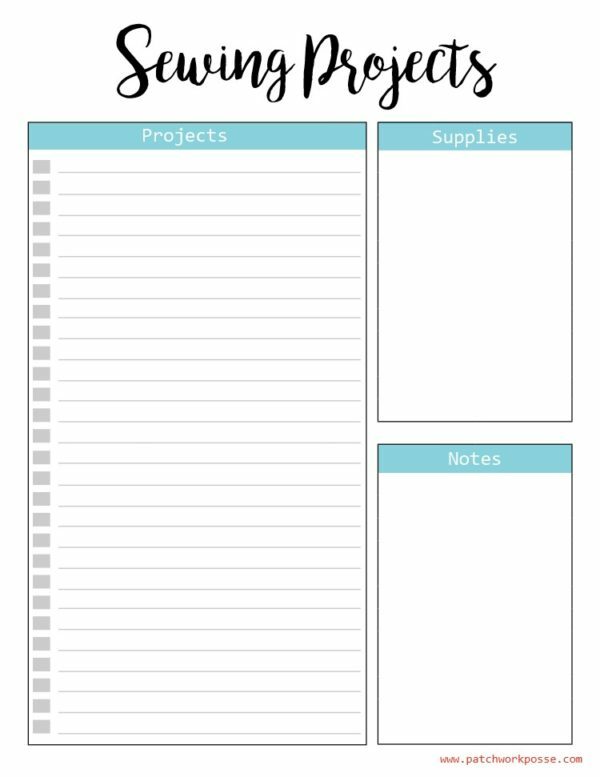 Do you have a favorite printable planner page for your projects?